Presented by Lance Taylor, Arnhold Professor of International Cooperation and Development at the New School for Social Research. Historically, financial crises have been commonplace. Over the past two decades the sector has staged the 1987 stock market crash, the Mexican crisis, the Asian crisis, Enron, the LTCM collapse, the end of the internet bubble, and 2007-09. Why did the latest episode almost derail the world economy? 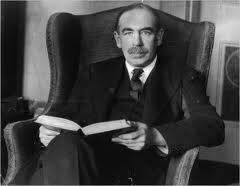 The macroeconomics developed by John Maynard Keynes and his close followers provides the only plausible set of answers, including rising income inequality which spilled over into debt accumulation at the same time as household consumption rose, low real interest rates, massive expansion of financial assets and liabilities as investors borrowed heavily (increased leverage) to buy assets with rising prices, and an ample supply of imports and capital inflows from the rest of the world. In an accommodating political economic environment these factors linked the real and financial sides of the economy to create the crisis.